Start a new Easter tradition. Fill these popcorn ball nests with Easter candy. No need to buy Easter baskets and it's all edible. 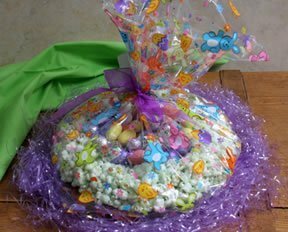 Your will have as much fun making these special baskets as the kids will have receiving and eating them this Easter. Watch how easy it is to make this fun Easter Egg Pie. Surprise the kids with this extra special pie. 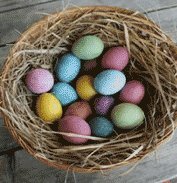 Step-by-step instructions on how to make everyone's favorite chocolate covered eggs for Easter.